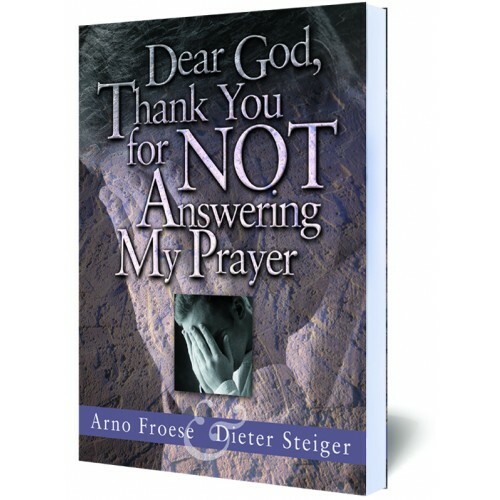 #1047 Have you ever felt that, because your prayers were not immediately answered, God was disregarding you? God has loving purposes for your life and His faithfulness is present in all circumstances. Have you ever felt that, because your prayers were not immediately answered, God was disregarding you? How many times have you faced the trouble (or anguish) of asking something of God and—apparently—no response? God has loving purposes for your life and His faithfulness is present in all circumstances. Prayer is one of the most important aspects of our Christian life, yet many of us become discouraged, disappointed and disheartened regarding the quality of our prayer life. We may become angry when a prayer is not answered according to what we think we need. We may have no difficulty in proclaiming God's sovereignty to others, while personally finding it tough to accept that God knows what is best. Often we may even find ourselves desperate and depressed, crying out to the Lord for deliverance...yet He seems to send none. What must we do? You are about to enter the lives of many great men of God who made requests of the Lord, petitions God chose to deny for His reasons, His purpose, and ultimately His glory. You may identify with some of these circumstances, but what is more important, we pray that these character studies will help you better understand why some prayers are answered and others are not. You will also learn that it is more important to look at the big picture and see that the way things turn out is usually better that we expect! The content of Dear God, Thank You for Not Answering My Prayer will remind you that God's plans are perfect, while our idea of what we feel we need is imperfect. The Lord knows what is best for us, we need only trust Him. You will be encouraged, edified and exhorted by this wonderful collaboration of writers; Bible scholars, Arno Froese and Dieter Steiger.